Wow. Mike Zimmer with the driveby handshake with Jeff Fisher, who turned to try to say something. Zim! #Vikings fans staying in the stands to watch end of #Packers -#Panthers , and there's plenty joy as they watched that INT on big board. 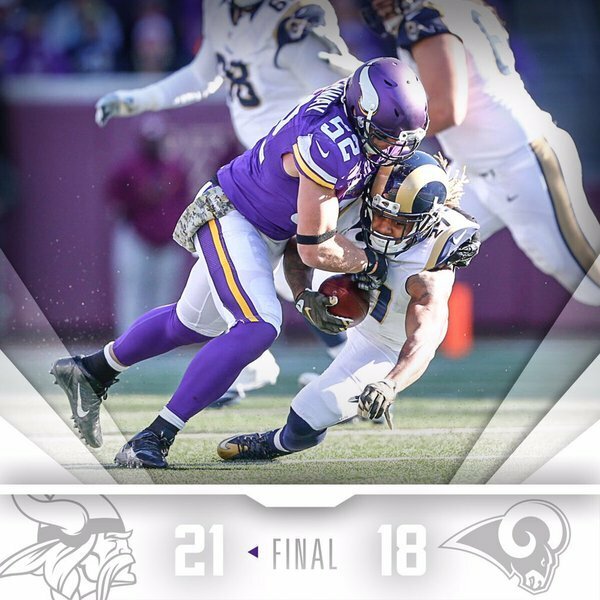 1st place #Vikings at the halfway post? 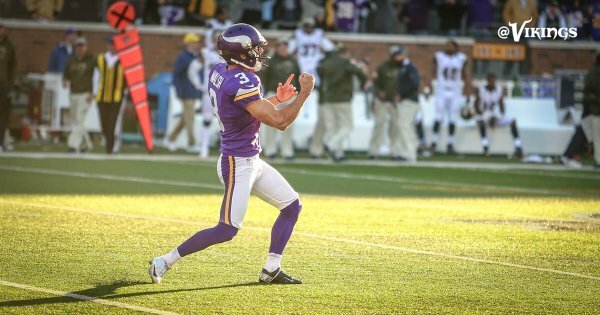 When Rodgers threw that pick, the fans watching on the scoreboard in TCF Bank Stadium gave a big cheer and the Vikings horn was sounded. With the win, Vikings are 6-2 and the Packers are on their way to a loss in Carolina. Soon to be co-division leaders. Vikings fans keep this in mind: This is the no style points season. Nothing about these wins is particularly attractive but do you care? No I don't. They called roughing penalties that were legit. @TheRealEsquared You mean Rams & refs. And the Packers loss is official. 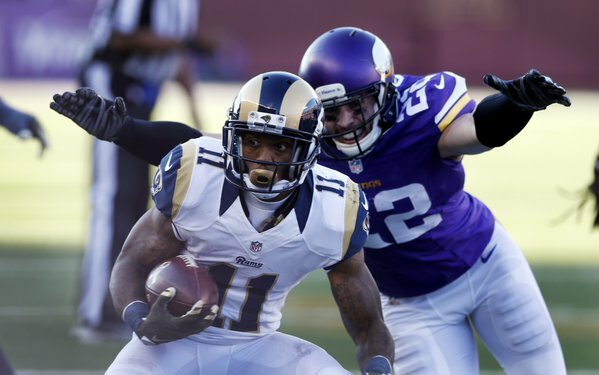 Back-to-back game winners for @BlairWalsh3 ! Zimmer: "Wasn't easy one" to decide to take wind in overtime and not ball. Said Zuerlein's 61-yd was factor, with wind. 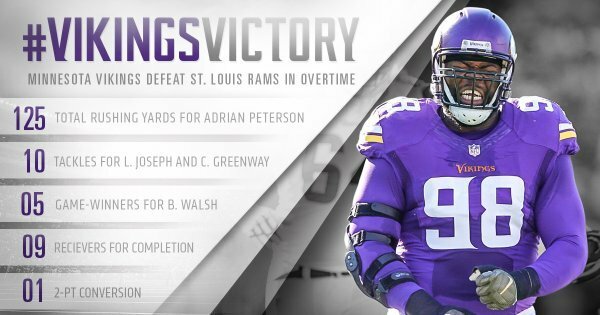 For the second consecutive week, the #Vikings win in walk-off fashion. Coach Zimmer said LB Audie Cole has a fractured ankle. can we trade our 6th round pick and inactive OL back for Hodges? Asked if he'll contact league office, Zimmer said "I might make a phone call" regarding what he deemed dirty hits. LeSean McCoy on Bills running for 266 yds behind, in part, Incognito: "I shouldn't use the word 'bullying,' but they were bullying up front"
Word from #Vikings players is "no surprise" about #Rams ' physicality, sometimes beyond legal "Never played a team that talks that much."